Sydney comes alive in summer- the weather’s beautiful and the city is in holiday mode with Christmas, days at the beach and New Years Eve celebrations locked into the diary. If you visit Sydney during the summer months, you’ll see the city at its best. If you’re in the city during the holiday season, here’s a collection of 5 ‘must-do’ activities in Sydney. Sydney’s beaches are world class, and a trip to Sydney is not complete without a dip in the Pacific. There are a number of beaches located close to the CBD, including Bondi, Tamarama and Bronte Beaches, as well as a number of Harbour beaches. 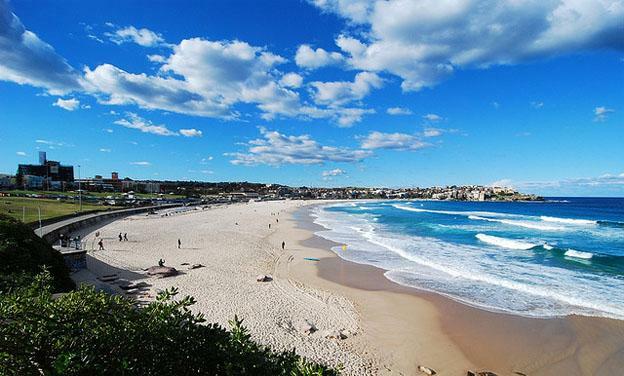 Whether you’re staying in the CBD or a Surry Hills accommodation, Sydney’s beaches are easily accessible. The Northern strip of beaches that run from Manly to Palm Beach are also worth a visit. But don’t forget – the sun in Australia is particularly strong so don’t forget your sunscreen! Sydney is one of the first places in the world to see in the New Year, and the city doesn’t take this responsibility lightly. 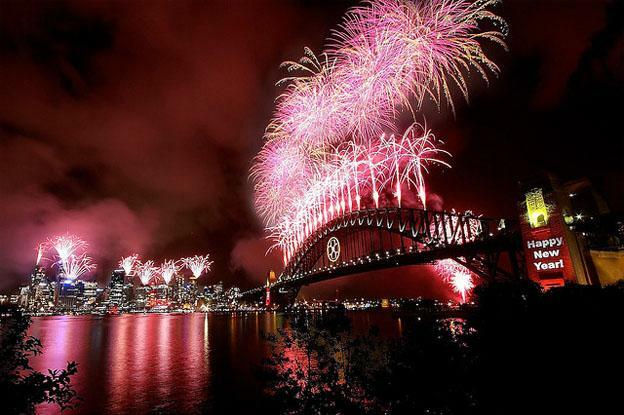 Sydney is the self-proclaimed ‘New Year’s Eve Capital of the World’, with Sydney Harbour erupting in a kaleidoscope of colourful fireworks and shows. If you’re one of the 300,000 international visitors that flock to the shores of the harbour to see the spectacular display, you won’t be disappointed! There are a number of vantage points around the Harbour, as well as organised parties. It will be a New Year’s Eve celebration to remember! 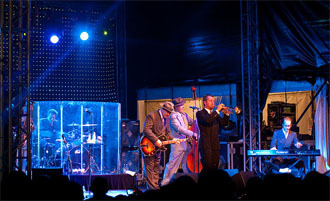 The Sydney Festival is a mainstay of the city’s summer calendar. For 3 weeks every January, the city puts on a show, with a spectrum of music, dance, art and drama performances and events. The festival is popular with both Sydneysiders and visitors, who revel in the balmy nights and festive atmosphere. There are both free and ticketed events, pop-up bars, food outlets and various festival locations and attractions all over Sydney. There’s something for everyone at the Sydney Festival. When the weather’s warm and the mood is festive, Sydney takes to the many open air bars dotted throughout the city and on the beaches. It’s the perfect way to salute the day that’s just passed, and enjoy Sydney at twilight. 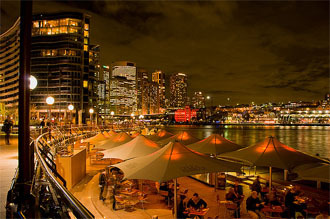 Some favourite open air bars are Opera Bar, perched just under the Sydney Opera House with spectacular views of the Harbour, or try the rooftop of the Glenmore Hotel, in the historic Sydney Rocks district. Sydneysiders love doing things outside in summer – and going to movies is no different! 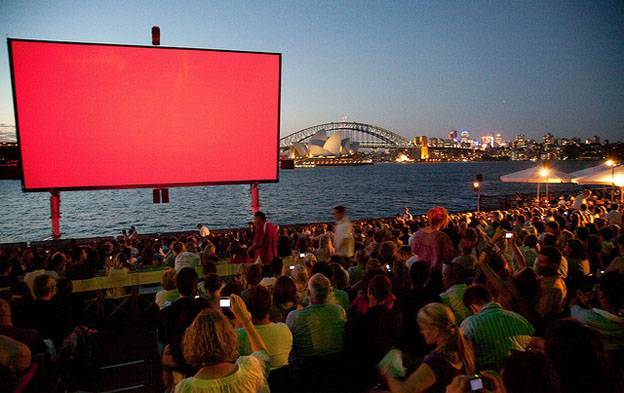 During the summer, a number of temporary open air cinemas pop up around Sydney. The open air cinemas at North Sydney, Centennial Park and on the shores of Bondi Beach play both classics and new releases. Bring your picnic gear and relax under the stars as you watch! There’s a more formal outdoor cinema at Mrs Macquarie’s Chair in the Sydney Botanical Gardens. Once night falls, a three storey high screen rises from the harbour with a different nightly movie, from new releases to classics or popular indie films. If you want to watch a movie in one of the most spectacular settings in the world, then this is your spot! Sydney is magical in summer, so make sure you get out and enjoy it if you’re visiting the city during this time. There’s an endless list of attractions on offer and experiences to enjoy, but make sure you include these 5 on your holiday itinerary. Those are all great summer activities in Sydney. Another I would add is walking trails along the harbour.The views are stunning.